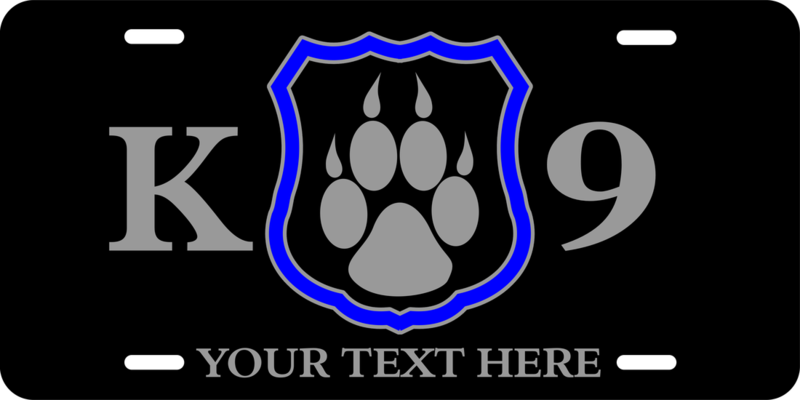 License plates regularly kept in stock. 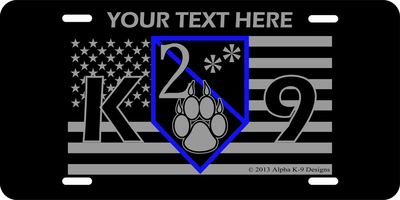 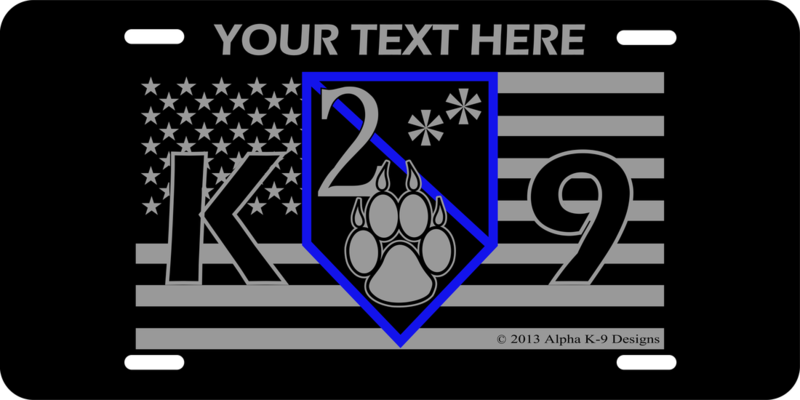 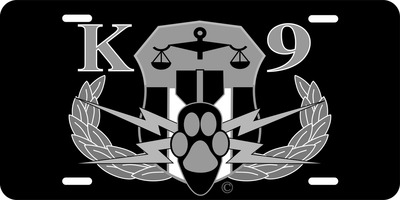 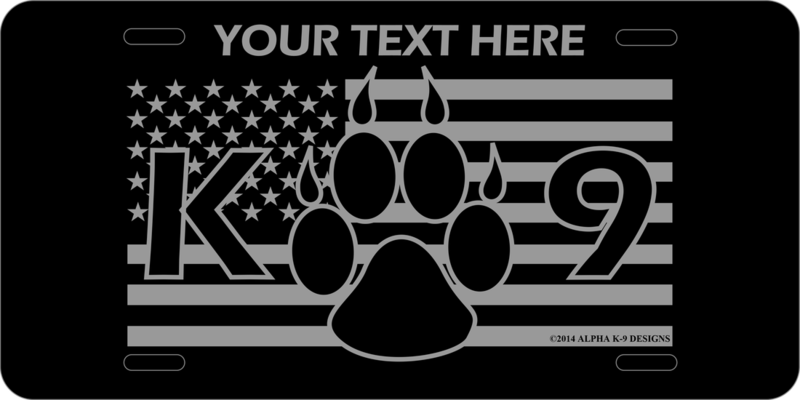 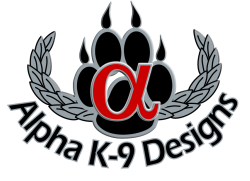 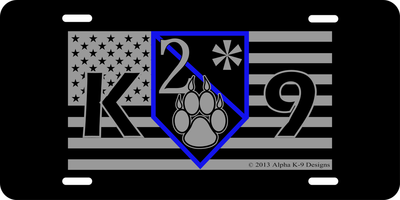 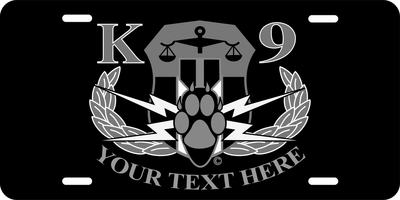 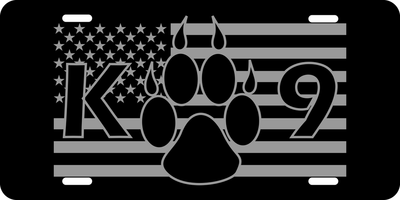 Customize an Alpha K-9 Designs license plate with your own text. 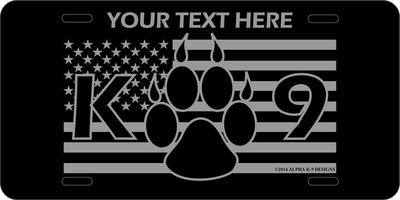 The 6"x12" aluminum tags come in gloss or matte finish.